The avifauna of Hong Kong includes a total of 518 species, of which 23 have been introduced by humans. 29 species are globally threatened. The Chinese Pond Heron (Ardeola bacchus) is an East Asian freshwater bird of the heron family (Ardeidae). 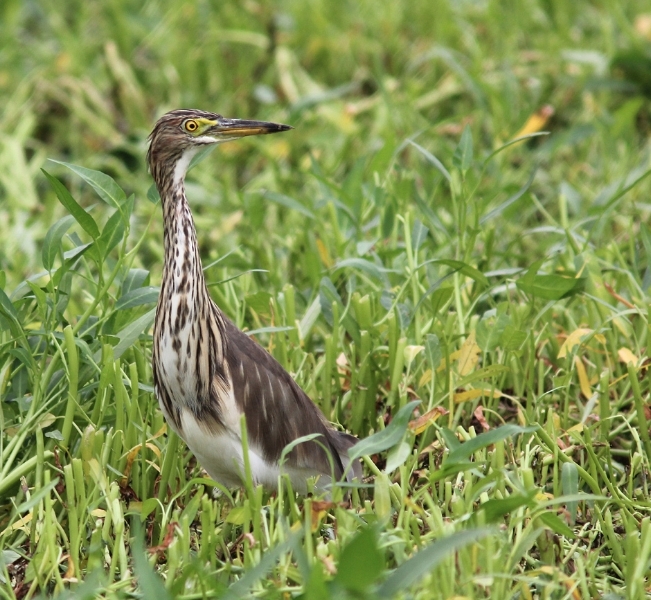 It is one of six species of birds known as "pond herons" (genus Ardeola). It is parapatric (or nearly so) with the Indian Pond Heron (A. grayii) to the west and the Javan Pond Heron (A. speciosa) to the south, and these three are presumed to form a superspecies.